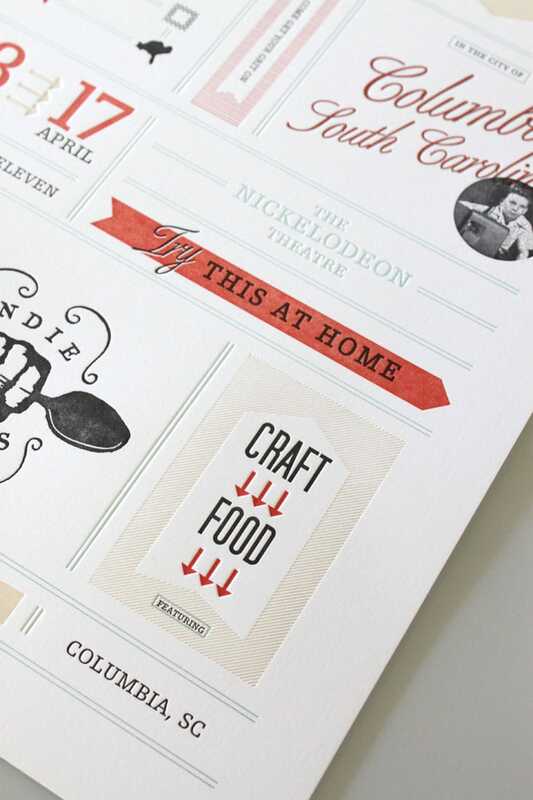 Indie Grits Festival Poster « Stitch Design Co.
On April 13th, Columbia, South Carolina will fill with creative independent film makers and film goers. 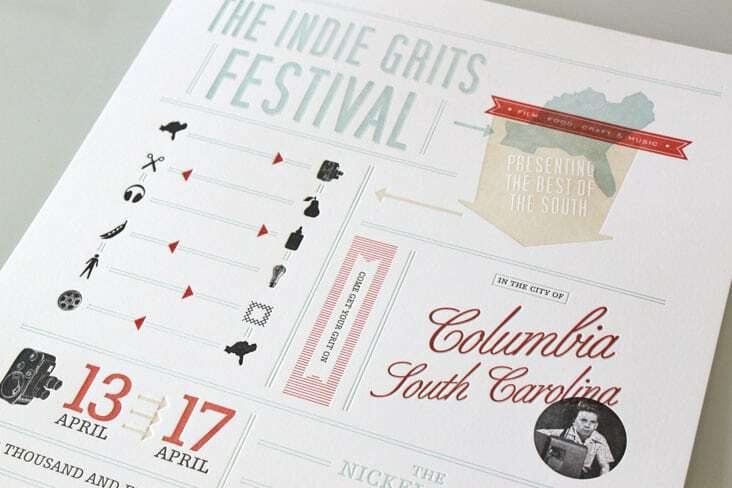 The Indie Grits Festival begins this Wednesday and will run through Sunday. This year’s festival not only will feature selected films but also focus on independent musicians, craft makers and foodies. We’ve been hard at work on all of the festival pieces and wanted to share this letterpress poster we designed and our sister company, Sideshow Press printed. 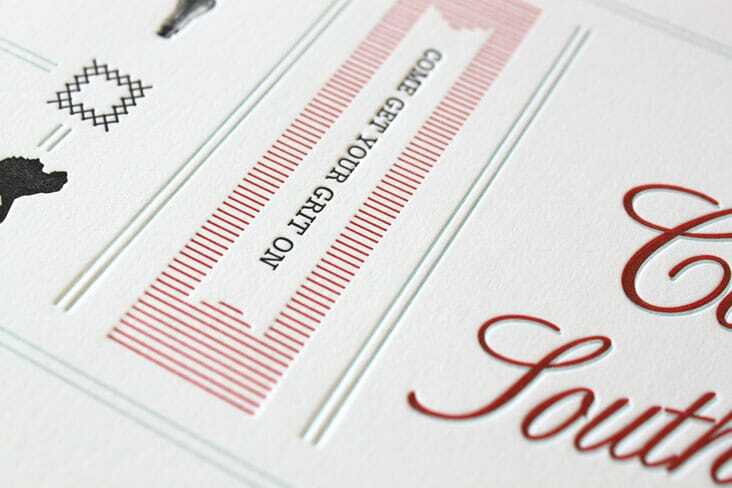 The poster is four color letterpress on French Smart White Paper. The design is a continuation of the Save the Date Poster we created for the Festival earlier this year. 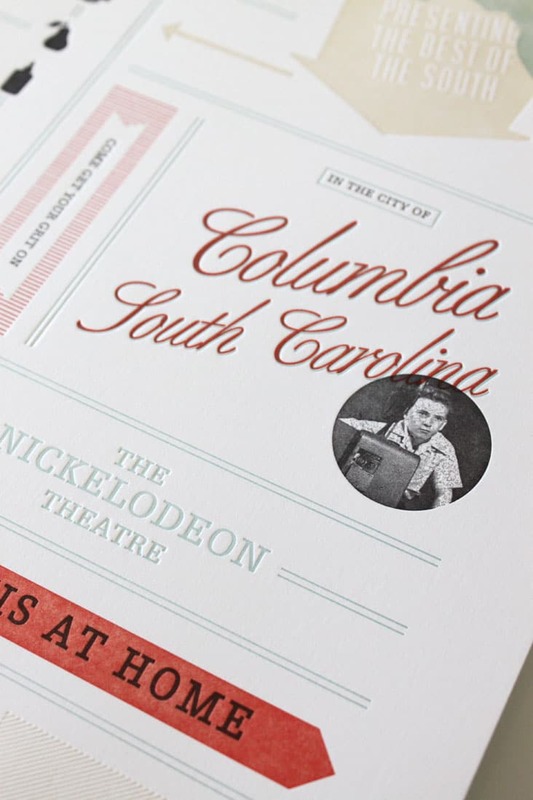 If you’re in Columbia, be sure to stop in to the Nickelodeon Theater and catch a few films. 4 Comments > Tags: Indie Grits Film Festival, Letterpress Poster, Sideshow Press, Stitch Design Co. This is beautiful, great job! Thanks! Yes, the poster was 4 color letterpress.